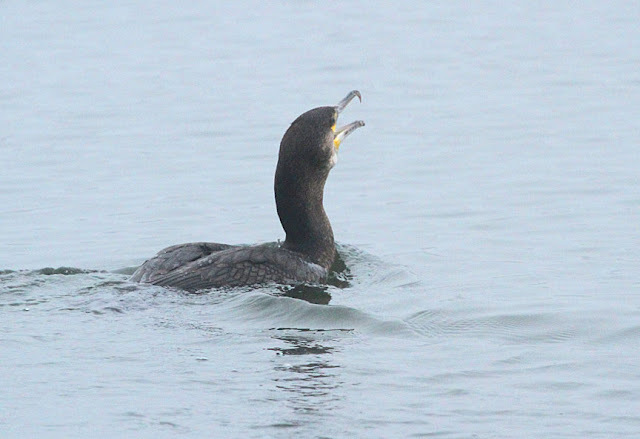 November 17th was this year's first sighting of a Great Cormorant in Vermont. 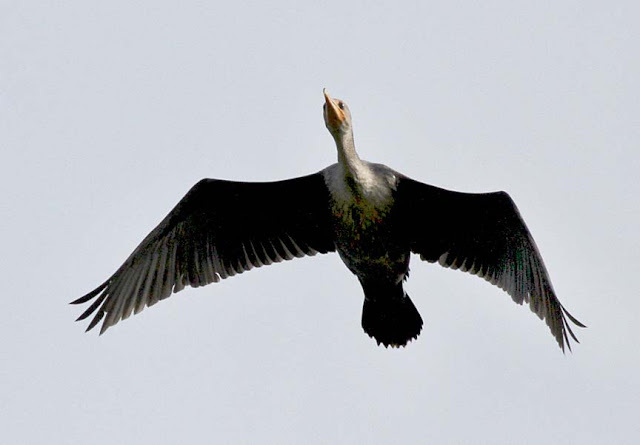 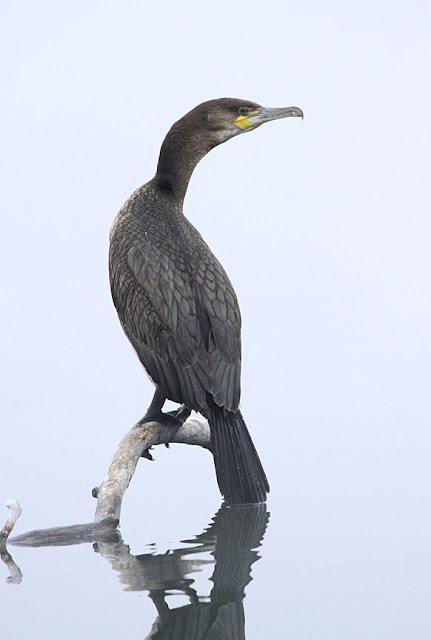 While double-crested cormorants are a common sight inland, the great cormorant is a sea bird, preferring to stay along the coast. 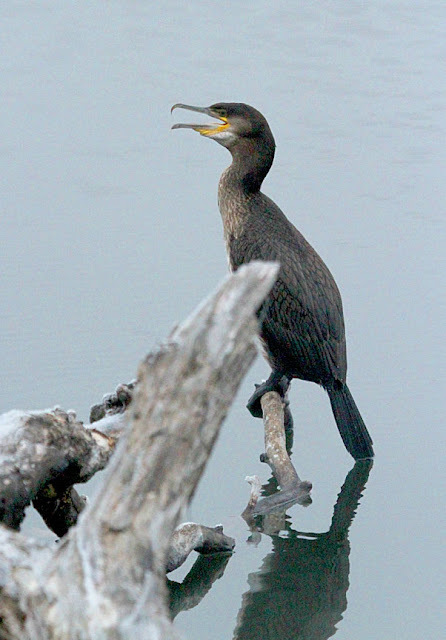 But every so often, one goes further inland, and as you might expect, are found along the Connecticut River or Lake Champlain. The difference between double-crested and great cormorant immature birds, as this one is, is the reversal of the coloring on the breast and belly. 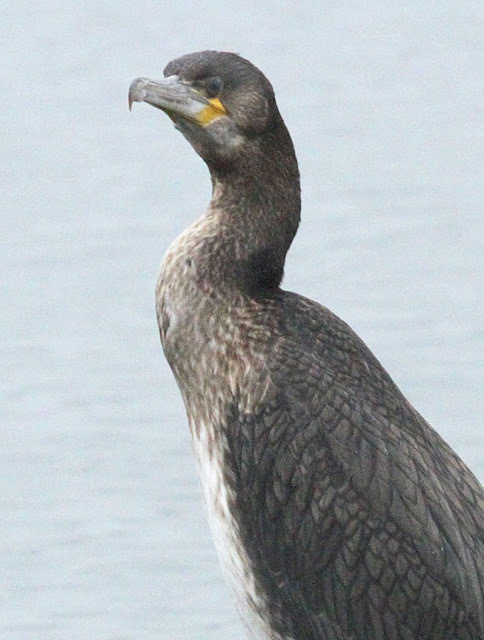 Immature great cormorants have white bellies and dark breasts (as you can see in this picture), while double-crested have dark bellies and pale breasts (see the picture below). 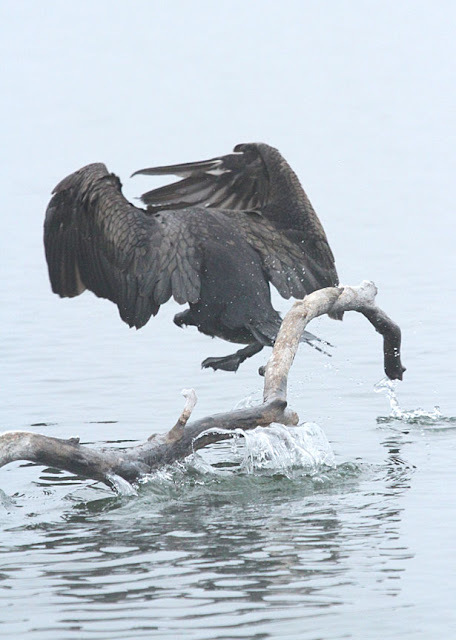 Enjoy the pictures of the great cormorant taken at Lake Runnemede in Windsor.